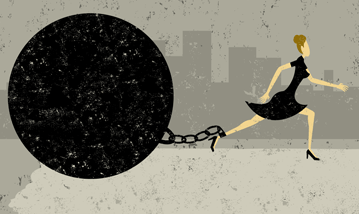 Falling Behind to Get Ahead: The Millennial Student Debt Trap? Surveys show that millennials visit bank branches less, value online banking more and carry higher levels of debt than prior generations—but not bank debt. Millennials carry more debt because they have seen education costs rise sharply and have overwhelmingly turned to student loans issued by the federal government to cover these costs. The connection between housing and student loan debt is straightforward: millennials struggling with student loan debt are less able to afford a home. Student loan debt makes it more difficult to save for a down payment and also weighs unfavorably in “debt-to-income” calculations, making it harder to qualify for a mortgage in the first place. Rising rents in many American cities have also taken a larger share of millennial income, which further complicates the path to future home ownership. For millennials seeking advanced degrees and opportunities in larger cities, these challenges are magnified. Nowhere is this more obvious than in Washington, D.C. From 2006 to 2009, census data shows that millennials were leaving the nation’s capital. However, immediately following the financial crisis, the D.C. metro area saw a migration of millennials larger than anywhere else in the country. This has made D.C. and its surrounding Virginia and Maryland suburbs the most millennial-dense metro area in the United States. However, millennials in cities like Washington face obvious challenges to homeownership and wealth building. To start, the median rent for a one-bedroom apartment in Washington is a staggering $2,000 per month. When this rent burden is combined with student loan obligations, the results are alarming. Taken together, typical millennial lawyers in D.C. are paying nearly $2,000 per month in rent and roughly $1,000 or $1,400 per month in student loans. Great salaries like $100,000 per year turn out to be about $5,000 per month after necessary withholdings and taxes. Even with such a high a salary, 60-68 percent of this six-figure-earning millennial’s after-tax income would be dedicated to rent and student loans. This would leave $1,600-$2,000 per month to cover all of life’s expenses and save toward the future. If this millennial saves $500 a month—a sizeable fraction of his or her remaining income—this will lead to savings of $6,000 per year. However, the median sales price for a home in the D.C. metro area is currently $415,000. Saving $500 a month, it will take almost 14 years for this millennial to save enough for a traditional 20 percent down payment on a home that is priced at the median. While both home prices and this millennial’s income are likely to change over the years, this rough timetable speaks volumes about why millennials are not buying homes as early as their parents. This illustration may bring you as close as you ever come to feeling bad for a young, highly paid lawyer in the nation’s capital. Still, it’s hard to garner too much sympathy for a millennial whose income places them near the top quintile of household income in America. Feelings aside, this shows how even high-earning millennials with the potential to be good bank customers can face financial hurdles that will take them years to overcome. Further, if this is the story of millennial success, then the tale of millennials that are struggling economically must be truly disquieting. It’s not just Washington, it’s not just mortgages, and it’s not just lawyers, either. In slightly different variations, this type of financial landscape exists across America and affects a range of millennials who find themselves struggling to save for emergencies, get married, form a family or start a new business while also servicing their student loans. Eventually these millennials will be well positioned to borrow again, but data and research suggests that this could take time. Millennials are justifiably shy about taking on new debt when they often find themselves with student loan balances equal to the mortgages on the homes they grew up in. These millennials have already mortgaged their future with student loans once. It should be no surprise to hear that they are not ready to do that twice. Shaun Kern is counsel in ABA’s Office of Regulatory Policy. 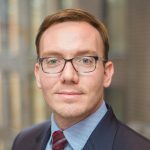 Shaun Kern is senior counsel in ABA's Office of Regulatory Policy and co-host of the ABA Banking Journal Podcast.